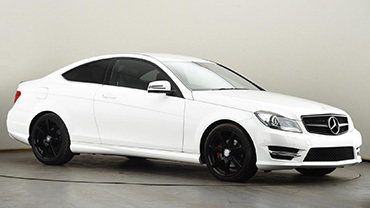 At Fremont Auto Center we are Mercedes C class specialists. We are the premier Mercedes C class Fremont repair shop. Whether you vehicle needs A or B service, or major repairs, give us a call - you will not be disappointed. We provide our master technicians with state-of-the art computerized diagnostic equipment, along with the latest training. Our owner has not only worked for Mercedes dealerships, but is one of only a handful of technicians (fewer than 150 in the United States) who are certified to work on Mercedes SLR McLaren. While some C class models suffered occasional glitches, like the 2015 Mercedes C300 which faced electrical issues, or the 2007 Mercedes C230 which experienced fuel system problems, overall Mercedes C class has been a worthy successor to the 190E (W201) Mercedes. At Fremont Auto Center we can provide you vehicle with full maintenance and repair service – from Mercedes A and B service, manufacturer scheduled maintenance, to electrical system diagnostics and repairs, to transmission service and repair, as well as Mercedes engine repair. Whenever you bring your Mercedes to us, we perform a complimentary inspection, including belts, hoses, tires, tire pressure adjustment, and other components that may give us better understanding of the overall health of your vehicle. Servicing your Mercedes C class with Fremont Auto Center fulfills service requirements to maintain manufacturer warranty. Fremont Auto Center is a full service Fremont Mercedes repair shop – we provide Mercedes Service A, Mercedes Service B, engine diagnostics & repair, brake repair, brake pad replacement, electrical system diagnostics & repair, computer diagnostics, fuel pump repair, cooling system service & repair, transmission service, A/C service & repair, and of course Mercedes pre-purchase inspections. Whether you Mercedes C class needs manufacturer recommended service, needs routine maintenance, or faces major repairs, bring it to Fremont Auto Center and experience Mercedes service with a smile. No matter what ails your vehicle, we will diagnose the problem, and provide you with repair options. Schedule an appointment online, or simply give us a call.